Can non-rechargeable batteries really be recharged? Yes indeed. Naturally, it is not in the interests of battery manufacturers to promote this fact, but most alkaline batteries can be recharged if the proper controlled process is applied. We are becoming an increasingly mobile society – witness the rapid adoption of mobile phones, laptop computers, palm devices, personal stereos, remote controllers and as any parent knows, a huge array of electronic toys. Batteries are the power source of necessity for these devices of everyday life – at work, at home and at play. But mobility comes at a price – feeding our power-hungry devices with an endless supply of new batteries will make a dent in any pocket, and the only beneficiaries are the battery manufacturers. 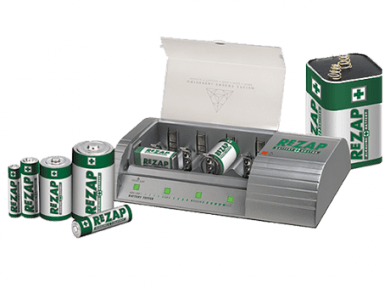 But relief is here – the ReZAPBattery Doctor allows you to recharge and extend the useful life of your batteries – even batteries that are supposedly non-rechargeable. Now you can recharge and reuse not just costly rechargeable batteries but also ordinary Alkaline, RAM and now high performance Titanium batteries. And of course also rechargeable types like NiCd and NiMH (with increased effectiveness). Even if money is not an issue, spare a thought for the environment. Many batteries contain a deadly cocktail of toxic chemicals and heavy metals that eventually break through their casings and pollute our landfills. By reusing your batteries (and eventually discarding them at proper disposal depots), you will be making a great contribution to alleviate this environmental problem. Can non-rechargeable batteries really be recharged? Yes indeed. Naturally, it is not in the interests of battery manufacturers to promote this fact, but most alkaline batteries can be recharged if the proper controlled process is applied. Certainly, it is not as easy to recharge alkaline batteries, nor can their lives be extended as many times, as batteries designed for recharging like NiCd and NiMH, but the ability to recharge and reuse an alkaline battery about 15 times represents a huge saving given their cost. 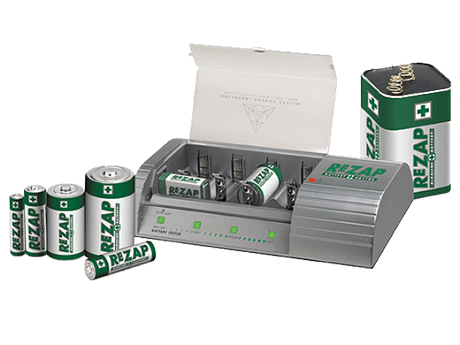 The ReZAP Battery Doctor represents a technological breakthrough in intelligent battery recharging, making possible a “smart recharger” to manage the charging parameters dynamically. It uses advanced microprocessor control together with our patented AlkalineMax™ charging technology that senses each battery type and condition, and delivers the optimum charging cycle to maximise charge capacity and extend battery life. Many earlier battery rechargers suffered from limited effectiveness because they simply applied a charging current to each battery until it reached full charge. They did not take into account the different types of batteries, different condition of each battery and the state of each battery as charging progressed. 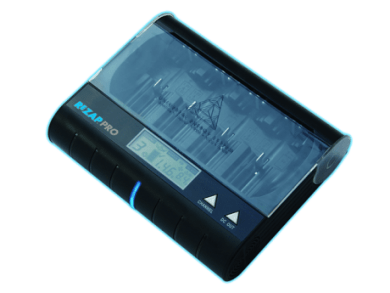 The ReZAP Battery Doctor automatically senses these parameters at the beginning and throughout the charging cycle, ensuring that each battery is individually custom-charged. As a result, even rechargeable batteries benefit from being ReZAPped, instead of recharging through the device itself, giving increased cycle life. 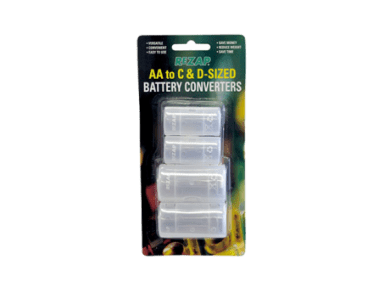 One product handles batteries of many shapes and sizes, including AA, AAA, AAAA, C, D, N, 9V, 6V (Lantern) and Prismatics (regular and flat types). Different size batteries may be charged simultaneously using the 4 available charging bays and 2 terminals. It handles all the common domestic battery types including Alkaline, RAM (Rechargeable Alkaline Manganese), Titinium, NiCd (Nickel Cadmium) and NiMH (Nickel Metal Hydride). Different battery types may be charged simultaneously because each cell is individually charged. The operation of the charger is fully software driven. At Digital Works, we will develop the support for new battery types that come to the market in the future, and you will be able to use the new programs by upgrading the processor chip. For example, purchasers of the earlier version of ReZAP (which did not support Titanium batteries) can now purchase the upgrade chip to bring their recharger to the latest version. This protects their original investment in a ReZAP. Operation is entirely automatic – users do not have to know the battery type or to set any switches. Just pop the batteries in and let it run. It’s perfectly safe to leave batteries in the bays indefinitely without the danger of overcharging. Once fully charged, further charging stops automatically. A set of LEDs display at a glance the status of each cell as charging progresses. Overcharging or overheating cannot happen and batteries may be left in the charger indefinitely (although not recommended for performance reasons). 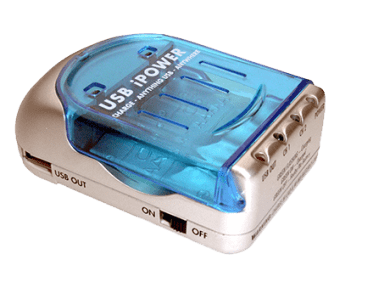 Automatic polarity reversal detection means that batteries inserted the wrong way will not harm the charger, the battery or the user. Short circuit protection on the battery terminals protects against the risk of electric shock or fire should the terminals become shorted. Our proprietary AlkalineMaxTM charging algorithm ensures that undesirable chemical breakdowns do not occur. Certifications, Approvals and Test Reports here. * Cycle life depends strongly on factors such as battery brand, quality and condition as well as rate of discharge, cut-off voltage and depth of discharge. Depth of discharge is the level to which the battery is taken during discharge. The shallower the discharge, the more cycles the battery will provide. This general rule is true for all battery chemistries.